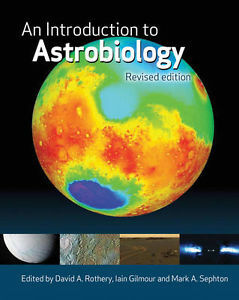 An Introduction to Astrobiology, the latest addition to the planetary science series from the Open University, delivers exactly what the title promises. Written in a clear and accessible manner, excellently illustrated and utilising a whole host of useful additional features, this textbook provides an engaging overview of the key topics in this diverse field. Whilst pitched as an accompaniment to taught introductory courses it would be excellent as a self-study tool or as a quick reference book for postgraduates specialising in the various strands of Astrobiology. The authors begin with the deceptively complex question “What is life?” which they use as a base on which to build basic knowledge of the fundamental biochemistry of life processes, the debate on life’s origins and the understanding of early life on earth. The concept of habitability is then introduced, leading on to the rationale behind the search for life elsewhere. Three detailed chapters are dedicated to the key astrobiological targets: Mars, Europa and Titan, with additional discussion on the possibility of life on other icy bodies. Each is excellently illustrated with clear diagrams and images from various orbiters, probes and landers, which, whilst also assisting in making the book very easy on the eye, have obviously been selected for relevance rather than purely aesthetic value. The series of images documenting the descent of the Huygens probe through the atmosphere of Titan is a particular favourite of mine. These chapters, in addition to summarising the current state of knowledge of these bodies, are skilfully used as a backdrop for discussion on the factors driving the search for life. The next three chapters provide a detailed account of exoplanetary research from the discovery of exoplanets to the nature of exoplanetary systems and the detection of life. These are explained without using unnecessarily complex maths but still succeed in avoiding patronising simplicity. This allows a thorough understanding of the key concepts in exoplanetary science whilst still being accessible to non-physicists and early stage undergraduates. The last chapter discusses the search for intelligent life in the universe with particular focus on the SETI and CETI (communication with extraterrestrial intelligence) missions. What makes this textbook really stand out are the additions to the bare knowledge in the text. Boxed summaries throughout elaborate on a variety of interesting points, whether it be discussing the findings of a mission or more in-depth exploration of a particular concept or technique. They also provide brief summaries of exciting current research such as the drilling of Lake Vostok and occasionally deliver some nice “pub-quiz” facts, like the reasoning behind the naming of the Galilean satellites. Essential facts are highlighted and reiterated in handy summaries at the end of each chapter. Also excellent are the student exercises for each topic, which, in comparison to a lot of undergraduate textbooks, require engagement with the content rather than just copy and paste answers. Whilst the short glossary at the end could have benefitted from being extended, the appendices provide an excellent quick reference point for anything from the basic properties of the planets in the Solar System to a list of notable Solar System exploration missions. There is also an online component of the book, hosting additional teaching materials and useful links. On the whole I found this textbook difficult to criticise. It succeeds in clearly conveying the key concepts in this vast field without ever becoming a tedious read and I would be surprised if it does not quickly shoot to the top of undergraduate reading lists. It would also make a welcome addition to the bookshelf of anyone already active in the field either as a quick reference book or a broad refresher on subjects outside their speciality. Highly recommended. This book never leaves my side! I have just completed the relevant OU module and am continuing down the astrobiology path. I am also a science writer, so I either pick out news items or decide to wax lyrical about water on Mars, the Moon etc. This field is so fluid and changes so fast that having an ‘actual’ book at hand, in order to ground yourself with facts and background so readers can see immediately what you are talking about. My only quibble with it and the module is that I would prefer a lot more biology, chemistry and paleobiology/evolutionary history. I had to fill in those gaps myself. I understand that would be beyond the scope of this book or the module at this time.